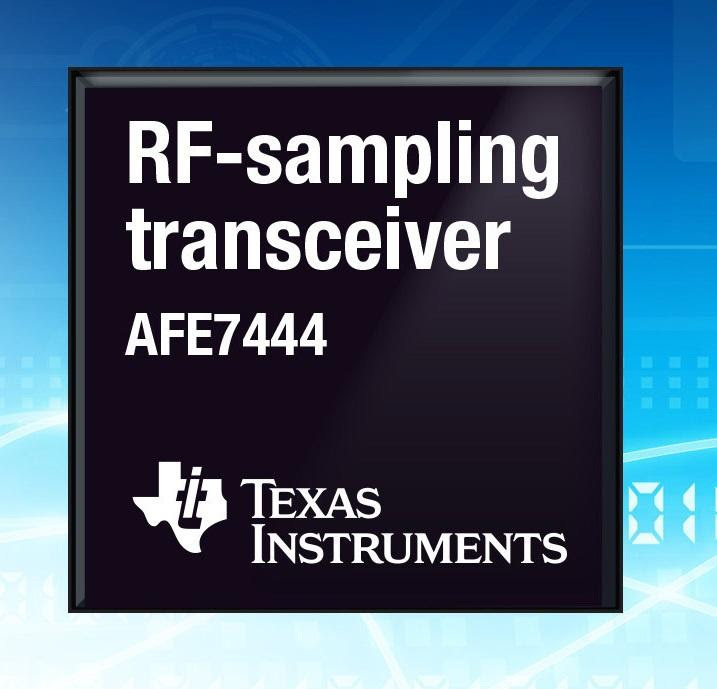 Texas Instruments (TI) has introduced two new RF-sampling transceivers that integrate four analog-to-digital converters (ADCs) and four digital-to-analog converters (DACs) in a single chip. TI says the device offers the industry’s widest frequency range, highest instantaneous bandwidth and 75% smaller design footprint than a discrete solution. The quad-channel AFE7444 (shown) and dual-channel AFE7422 transceivers help engineers more easily achieve multiantenna, direct RF sampling for radar, software defined radio and wireless 5G applications. Offering the highest IBW among radio frequency (RF)-sampling transceivers according to TI, the AFE7444 and AFE7422 enable engineers to achieve up to 600% more data throughput. While sampling up to 9 Gsamples per second (GSPS) per DAC and up to 3 GSPS per ADC, the AFE7444 receives and transmits up to 800 MHz of information from each of the four antennae, and the AFE7422 receives and transmits 1.2 GHz from each of the two antennae. The new RF-sampling wideband transceivers give engineers flexibility to design applications covering any frequency from 10 MHz to 6 GHz. The AFE7444 and AFE7422 enable engineers to support up to eight antennae and 16 RF bands with only one device. The AFE7444 and AFE7422 also allow engineers to directly sample input frequencies into C-band without the need for additional frequency conversion stages, eliminating local oscillators, mixers, amplifiers and filters in designs. Additionally, the two transceivers’ architecture allows for greater programmability than traditional RF solutions, and flexible decimation options enable optimization of data bandwidth. With four ADCs and four DACs in one chip, the AFE7444 and AFE7422 help engineers significantly reduce design cycles that are associated with the manufacturing and testing phases required when designing with discrete components. Measuring 17 mm by 17 mm, TI’s RF-sampling transceivers help save engineers 75% of board space when compared to using discrete RF-sampling data converters. The integration and small size of the AFE7444 and AFE7422 enable engineers to optimize transceiver proximity to the antenna, enabling digital beam forming in high-frequency and high-density antenna arrays. The AFE7444EVM and AFE7422EVM evaluation modules, available today from the TI store and authorized distributors. The evaluation modules are priced at $2,499 and $1,999 respectively. Pricing for the AFE7444 quad-channel, wideband RF-sampling transceiver in 100-unit quantities starts at $1,749.90. That’s for a 17-mm-by-17-mm, FCBGA package. Pricing for the AFE7422 dual-channel, wideband RF-sampling transceiver in a 17-mm-by-17-mm FCBGA package starts at $1,249.90 for 100 units. The April issue of Circuit Cellar magazine is coming soon. And we’ve got a healthy serving of embedded electronics articles for you. Here’s a sneak peak. In this follow on to our March “IoT: Device to Gateway” feature, this time we look at technologies and solutions for the gateway to cloud side of IoT. 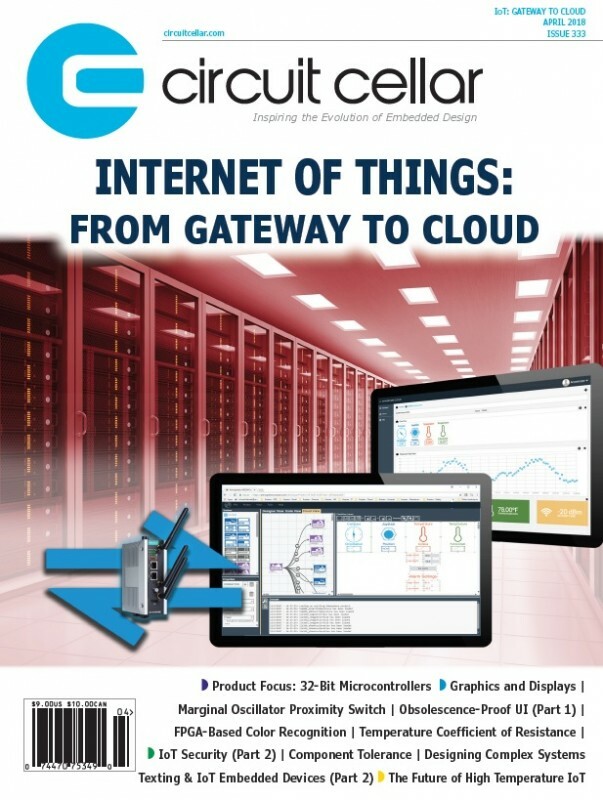 Circuit Cellar Chief Editor Jeff Child examines the tools and services available to get a cloud-connected IoT implementation up and running. In Part 1, Jeff Bachiochi laid the groundwork for describing a project involving texting. He puts that into action this, showing how to create messages on his Espressif System’s ESP8266EX-based device to be sent to an email account and end up with those messages going as texts to a cell phone. In this next part of his article series on IoT security, Bob Japenga takes a look at side-channel attacks. What are they? How much of a threat are they? And how can we prevent them? As the workhorse of today’s embedded systems, 32-bit microcontrollers serve a wide variety of embedded applications—including the IoT. 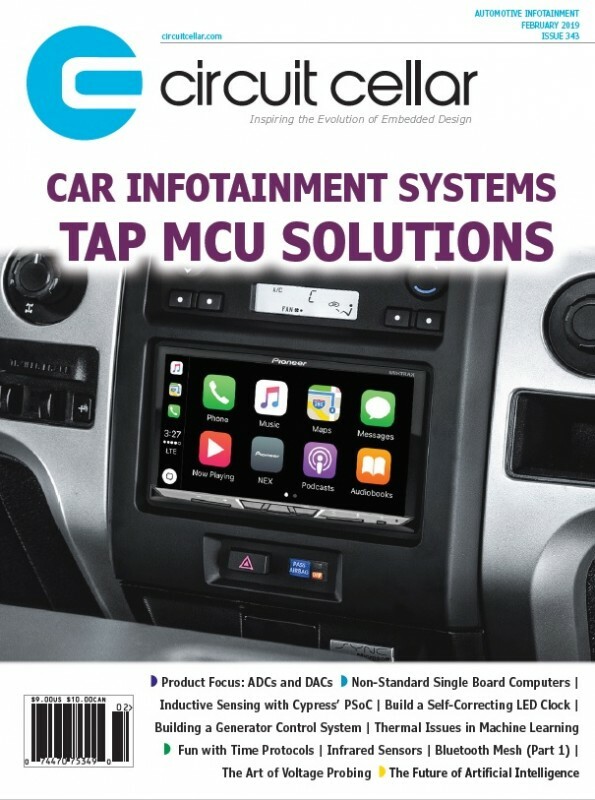 This Product Focus section updates readers on these trends and provides a product album of representative 32-bit MCU products. Thanks to advances in displays and innovations in graphics ICs, embedded systems can now routinely feature sophisticated graphical user interfaces. Circuit Cellar Chief Editor Jeff Child dives into the latest technology trends and product developments in graphics, video and displays. Vision systems used to require big, multi-board systems—but not anymore. Learn how two Cornell undergraduates designed a hardware/software system that accelerates vision-based object recognition and tracking using an FPGA SoC. They made a min manufacturing line to demonstrate how their system can accurately track and categorize manufactured candies carried along a conveyor belt. We perhaps take for granted sometimes that the tolerances of our electronic components fit the needs of our designs. In this article, Robert Lacoste takes a deep look into the subject of tolerances, using the simple resistor as an example. He goes through the math to help you better understand accuracy and drift along with other factors. Temperature coefficient of resistance (TCR) is the calculation of a relative change of resistance per degree of temperature change. Even though it’s an important spec, different resistor manufacturers use different methods for defining TCR. In this article, Molly Bakewell Chamberlin examines TCR and its “best practice” interpretations using Vishay Precision Group’s vast experience in high-precision resistors. While some commercial software gets away without much qualification during development, the situation is very different when safety in involved. For aircraft, vehicles or any complex system where failure unacceptable, this means adhering to established standards throughout the development life cycle. In this article, George Novacek tackles these issues and examines some of these standards namely ARP4754. A damped or marginal oscillator will switch off when energy is siphoned from its resonant LC tank circuit. In his article, Dev Gualtieri presents a simple marginal oscillator that detects proximity to a small steel screw or steel plate. It lights an LED, and the LED can be part of an optically-isolated solid-state relay. After years of frustration dealing with graphical interface technologies that go obsolete, Steve Hendrix decided there must be a better way. Knowing that web browser technology is likely to be with us for a long while, he chose to build a web server that could perform common operations that he needed on the IEEE-488 bus. He then built it as a product available for sale to others—and it is basically obsolescence-proof. The March issue of Circuit Cellar magazine is coming soon. And we’ve got a healthy serving of embedded electronics articles for you. Here’s a sneak peak. The Internet of Things (IoT) is one of the most dynamic areas of embedded systems design today. 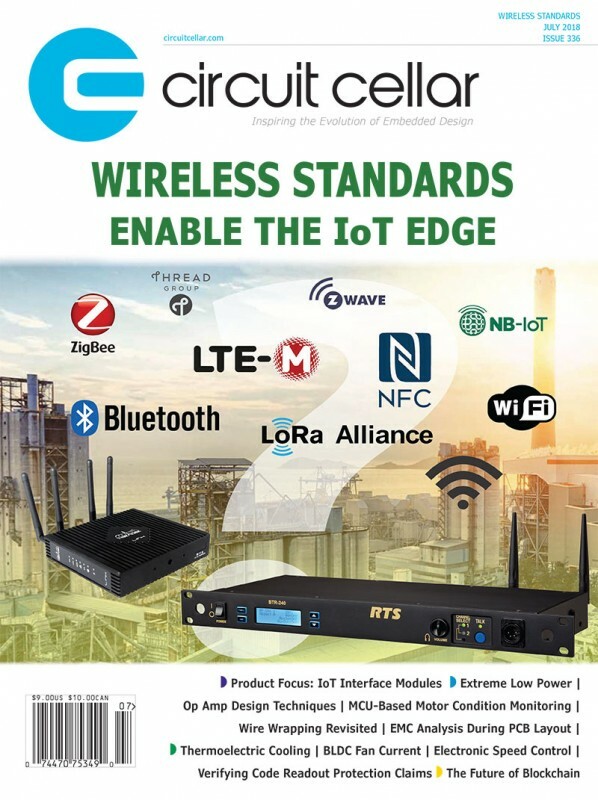 This feature focuses on the technologies and products from edge IoT devices up to IoT gateways. 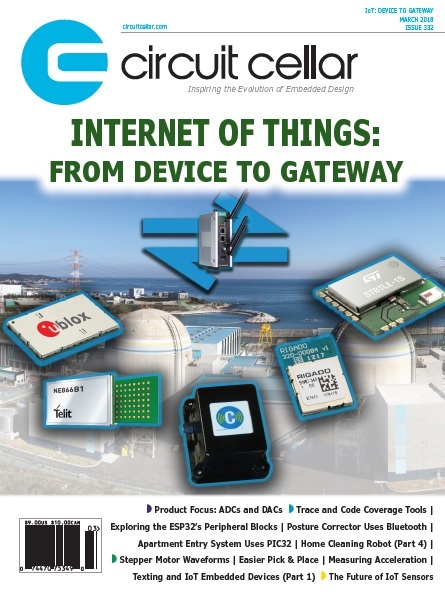 Circuit Cellar Chief Editor Jeff Child examines the wireless technologies, sensors, edge devices and IoT gateway technologies at the center of this phenomenon. Texting has become a huge part of our daily lives. But can texting be leveraged for use in IoT Wi-Fi devices? Jeff Bachiochi lays the groundwork for describing a project that will involve texting. In this part, he gets into out the details for getting started with a look at Espressif System’s ESP8266EX SoC. What makes an embedded processor suitable as an IoT or home control device? Wi-Fi support is just part of the picture. Brian Millier has done some Wi-Fi projects using the ESP32, so here he shares his insights about the peripherals on the ESP32 and why they’re so powerful. In this final part of his four-part article series about building a home cleaning robot, Nishant Mittal discusses the firmware part of the system and gets into the system’s actual operation. The robot is based on Cypress Semiconductor’s PSoC microcontroller. Learn how a Cornell undergraduate built a system that enables an apartment resident to enter when keys are lost or to grant access to a guest when there’s no one home. The system consists of a microphone connected to a Microchip PIC32 MCU that controls a push solenoid to actuate the unlock button. Learn how these Cornell students built a posture corrector that helps remind you to sit up straight. Using vibration and visual cues, this wearable device is paired with a phone app and makes use of Bluetooth and Microchip PIC32 technology. Makers of analog ICs are constantly evolving their DAC and ADC chips pushing the barriers of resolution and speeds. This new Product Focus section updates readers on this technology and provides a product album of representative ADC and DAC products. Using inexpensive microcontrollers, motor drivers, stepper motors and other hardware, columnist Ed Nisley built himself a Computer Numeric Control (CNC) machines. In this article Ed examines how the CNC’s stepper motors perform, then pushes one well beyond its normal limits. Sensors are a fundamental part of what make smart machines smart. And accelerometers are one of the most important of these. In this article, George Novacek examines the principles behind accelerometers and how the technology works. Today it’s not uncommon for embedded devices to have millions of lines of software code. 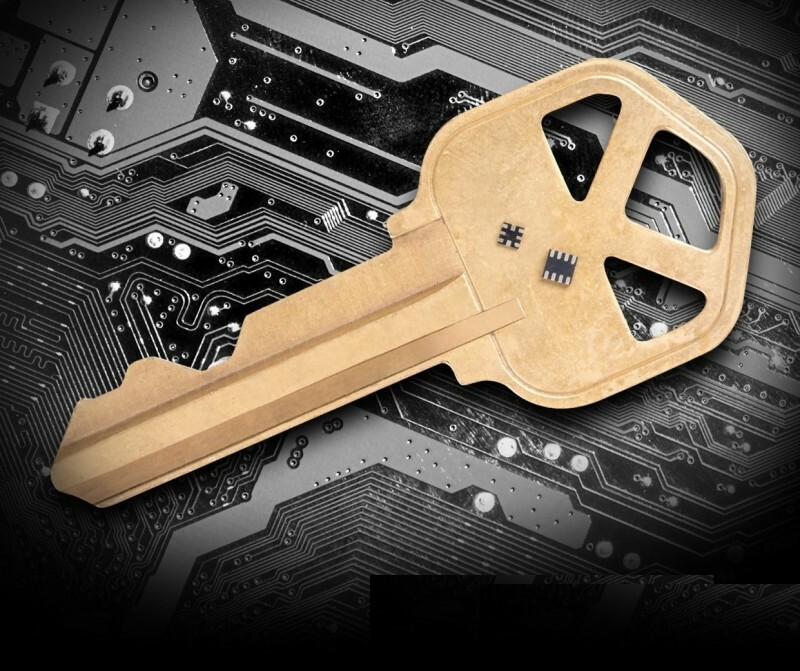 Trace and code coverage tools have kept pace with these demands making it easier for embedded developers to analyze, debug and verify complex embedded software. Circuit Cellar Chief Editor Jeff Child explores the latest technology trends and product developments in trace and code coverage tools. Prototyping embedded systems is an important part of the development cycle. In this article, Colin O’Flynn presents an open-source tool that helps you assemble prototype devices by making the placement process even easier. Gas sensing technology has come long way since the days of canaries in coal mines. This month columnist Jeff covers the background issues surrounding gas monitoring and sensing. Then he describes how he uses sensors, A/D conversion and Arduino technologies to do oxygen measurement. When coal miners began dropping like flies, it was determined that poisonous gas was the culprit. To date there was no test to detect the presence of this odorless ghost. Sacrificial canaries became the guinea pigs, giving up their lives to save the miners. These birds are especially sensitive to methane and carbon monoxide. When the song bird stopped singing, miners headed for a breath of fresh air until the mine could be cleared of the silent killer. Seemingly ripe for disaster, the flame height of an oil lamp was used for detecting dangerous conditions in the 1800s. A shrinking flame indicated reduced oxygen, while a stronger flame indicated the presence of methane—or other combustible gas. Flame arrestors kept the combustion internal to the lamp, preventing external gas ignition unless it was dropped. In the 1900s, it was discovered that the current through an electric heater was affected when nearby combustible gases increased in temperature. The use of a catalytic material—such as palladium—lowers the temperature at which combustion takes place. Using these heaters in a Whetstone bridge configuration—where one leg is exposed to the gas—can create an easily measured imbalance proportional to the concentration of the combustible gas. Infrared light can be used to measure the concentration of many hydrocarbon gases. When compared to a gas-free path, the IR absorption through a gas can indicate the concentration of hydrocarbon molecules. Gases can be identified by their molecular makeup. That is the amount of each element present. Absorption bands can be identified by dispersion through diffraction or non-dispersion through filtration. Concentration is the relationship of a particular wavelength between a reference path and a gas absorption path. There are many techniques available today for monitoring gases. 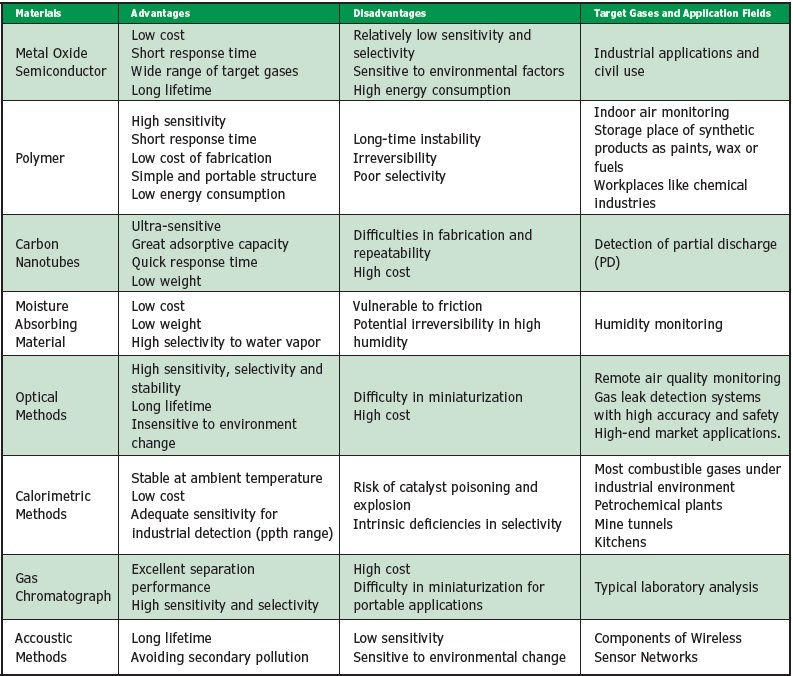 Refer to Table 1 for a breakdown of gas monitoring methods and their associated advantages and disadvantages. HAZMAT Class 2 in United States identifies all gases which can be compressed and stored for transportation. Even though we are not directly dealing with storage or transportation, the class is further defined by three groups of gases: flammable, toxic and others (non-flammable). 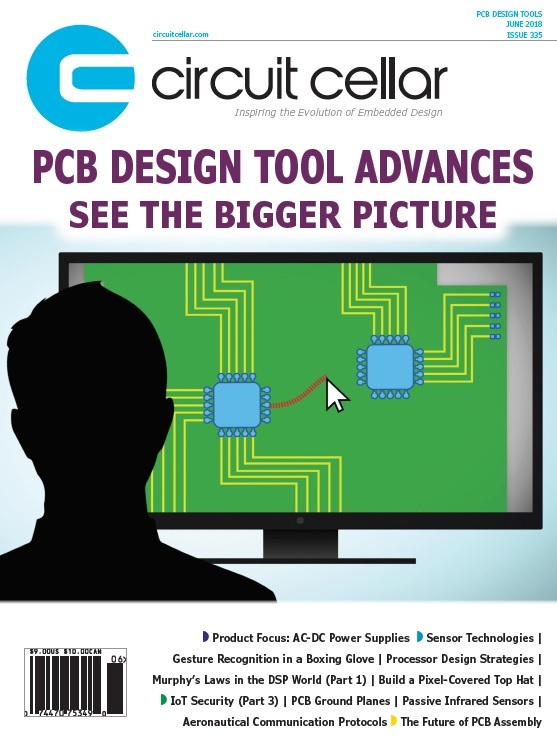 We’ve made the October 2017 issue of Circuit Cellar available as a sample issue. In it, you’ll find a rich variety of the kinds of articles and information that exemplify a typical issue of the current magazine.